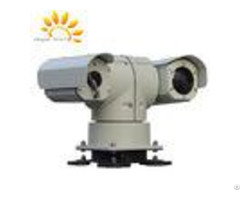 Long Range Fog Penetration Camera For Seaport Security And Coastal Surveillance VC series long-range fog penetration camera is designed for bad weather conditions. With the intelligent photoelectric linkage, optical and AFR image processing technology, the camera uses the long wavelength light to enhance image details in foggy, moist and dusty environment, and increase the effective view distance by 1.7 to 2.3 times. 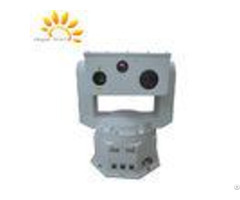 Optional 200mm~1000mm telephoto zooming lens and 440000 pixel/ 2 megapixel visible color to B/W CCD, and with the 360continuously rotation platform, the camera can monitor a region of 2km~10km clearly. With built-in technical grade electronic control system, the camera can complete functions like zooming, focusing and video switch easily. One integral aluminum alloy housing and IP66 ingress protection ensures its proper functioning outdoor. Feature # Optical filtering and image processing technology, color and B/W fog penetration mode. # Exclusive AFR imaging enhancement algorithm can correct the image in black/serious backlight/foggy environment and increase frame frequency to 30 fps. With the AFR, the camera can adjust image contrast in foggy environment and enhance image details. 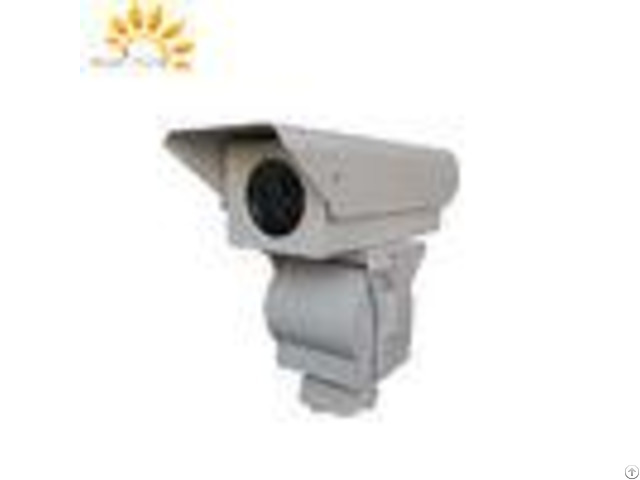 # Optional 300mm~1000mm zooming lens and SD 440000 pixel/HD 2 megapixel CCD, CMOS camera. # 360continuously rotation platform with 20kgs/50kgs duty. # One integral aluminum alloy housing, waterproof, IP66 ingress protection, dustproof, rainproof. Application Seaport&airport security, lake&river monitoring, mariculture monitoring, oilfield security, forest fire prevention, city security. 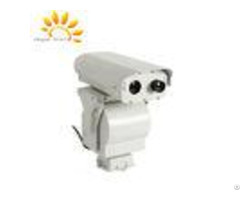 Technical specification - - - - Model | VC2020F | VC2030F | VC2055F | VC2075F | VC20100F | CCD | 1/2.8'' 0.01lux low illumination color to B/W CCD, 2 megapixel, 1080P, video format H.264 | Lens | 10200mm, megapixel HD, motorized zoom, auto iris | 12320mm, megapixel HD, motorized zoom, auto iris | 18550mm, megapixel HD, motorized zoom, auto iris | 25750mm, megapixel HD, motorized zoom, auto iris | 201000mm, megapixel HD, motorized zoom, auto iris | Detection | 1.5km | 23km | 57km | 8km-10km | 10km | | | | | | | Fog penetration | Optical filtering and AFR image processing technology | Mode | B/W color mode | Housing | One integral aluminum alloy housing, waterproof, weatherproof IP66 | Load duty | 20kg | 50kg | | | PT | Pan:0355o, tilt: +10-60 (Optional 360continuously rotation PTZ | Pan: 360o continuously, Tilt: +45-75, display angle and transmission back function. | Pan: 360o continuously, Tilt: +45-45, display angle and transmission back function. | | | Rotation speed | Pan: 9/S, tilt: 4/S(Optional variable speed PTZ) | Pan: 0.0160/S, tilt: 0.0130/S | Pan: 0.0130/S, tilt: 0.0115/S | Interface | RJ45*1 (video +control), AC24V*1 (Optional RS485 with angle and transmission back function) | Power supply | AC24V10%, 50Hz, 5A | Ingress protection | IP66 | Operational temp. | -25+55(-40 optional) | Weight | 30kg (included PT ) | Dimension | 570mm*200mm*580mm (L*W*H) | - - - - * The detection distance is related to the object and environment etc. Please contact with us for further information.